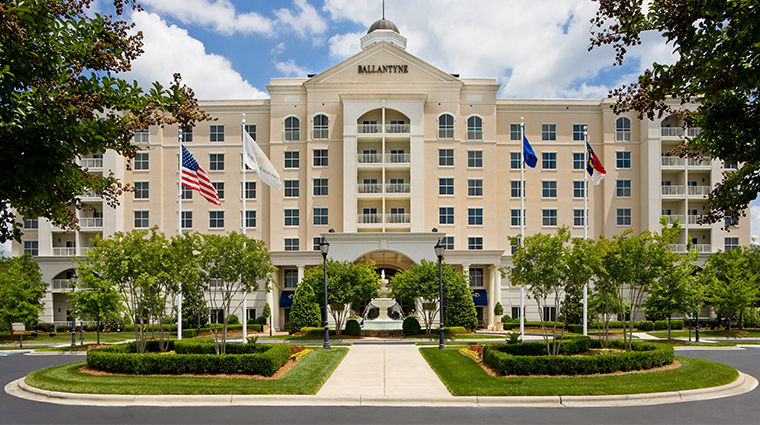 Even though The Ballantyne, A Luxury Collection Hotel sits in a tony area of south Charlotte near shops, restaurants and business parks, it feels removed from the city fray. The green, leafy setting makes you want to slow your pace and escape for a bit. 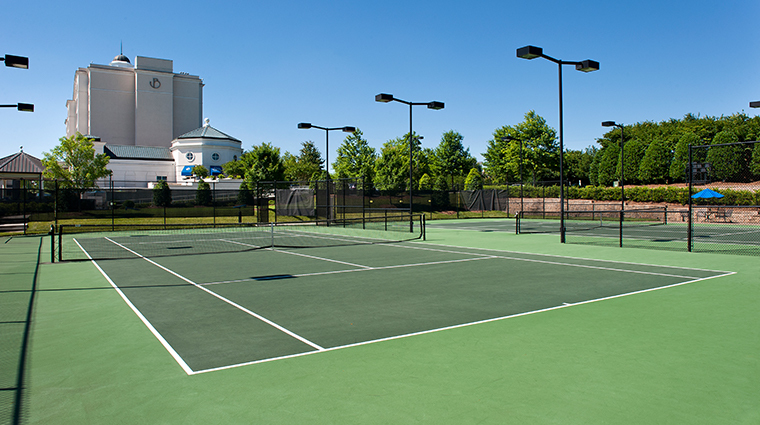 You can do that with a round on the championship golf course, some play on the two lighted tennis courts, a swim the indoor and outdoor pools, a treatment in the spa, a meal at Four-Star Gallery Restaurant or simply with a glass of Scotch in the lobby terrace overlooking the greens. 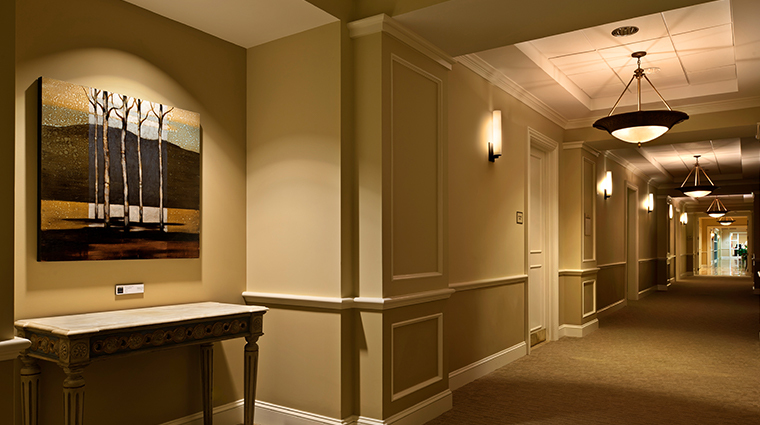 Inside the hotel, you’ll find modern Southern elegance. 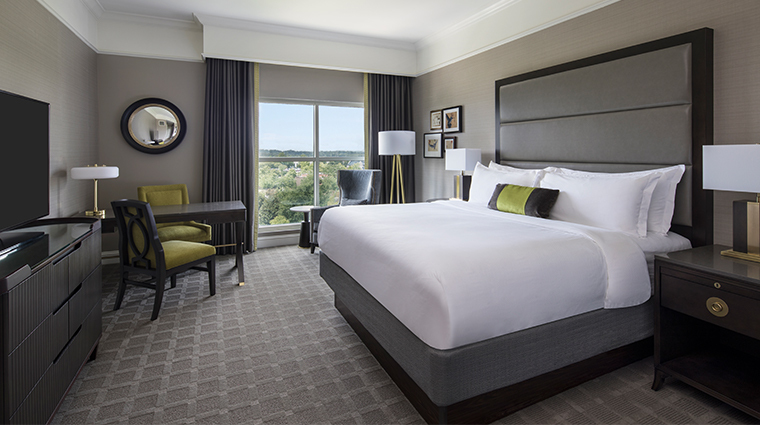 Fresh off of a September 2018 renovation, The Ballantyne updated its rooms with a chic gray and white palette. 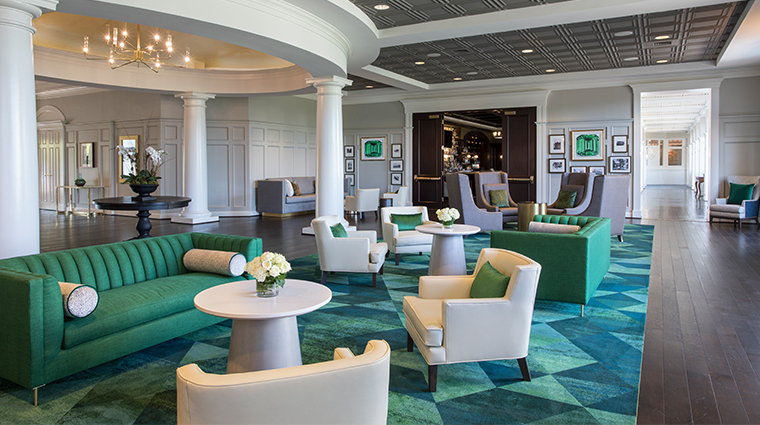 It transformed the two-story lobby into the most desirable gathering place in the hotel, with natural light filtering in through the wall of windows in the back, cozy seating and communal tables. You’ll want to stay a while. 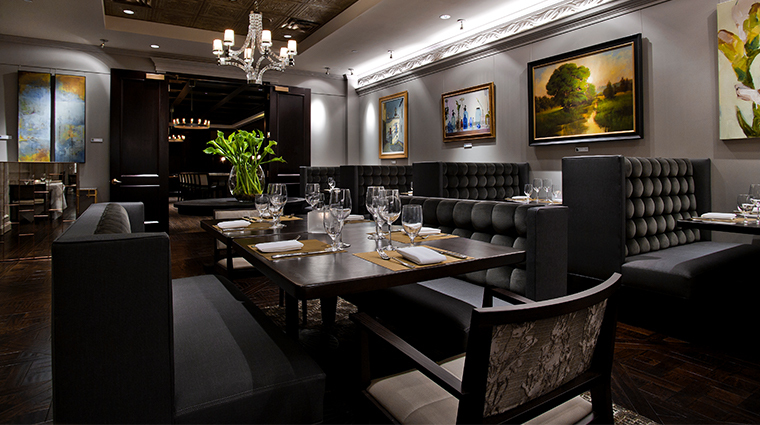 In Gallery Restaurant, colorful, modern paintings (courtesy of the local Shain Gallery) hang above cozy, tufted banquettes and sleek dining room tables. But you may be too busy with the refined Southern fare on your plate to notice. 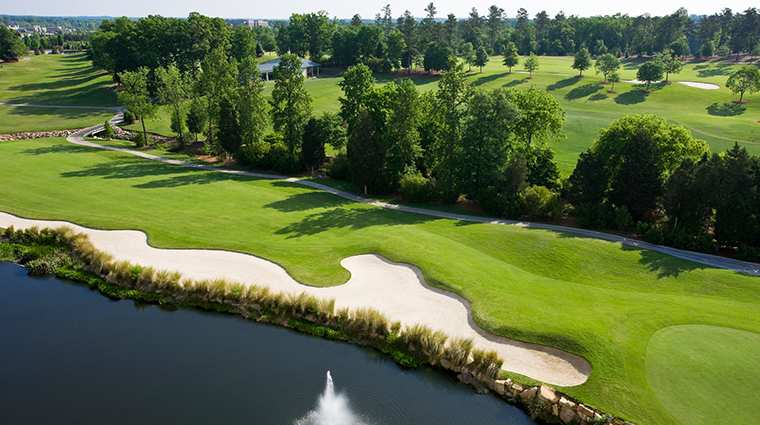 Test your swing at The Golf Club at Ballantyne’s 18-hole PGA course, which has earned kudos from Golf Digest. There’s also an academy, a pro shop, a driving range and more. This is a destination for groups. 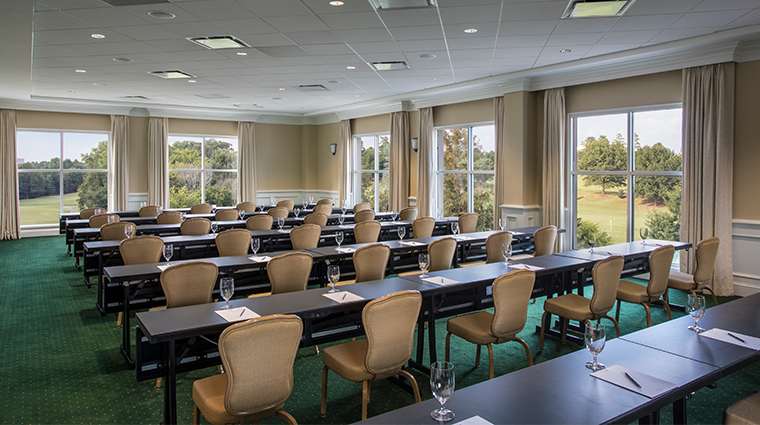 Aside from the 30,000 square feet of meeting space, the luxury hotel can plan a dinner in the rose garden, local beer or whiskey tastings, glow-in-the-dark putting and more. 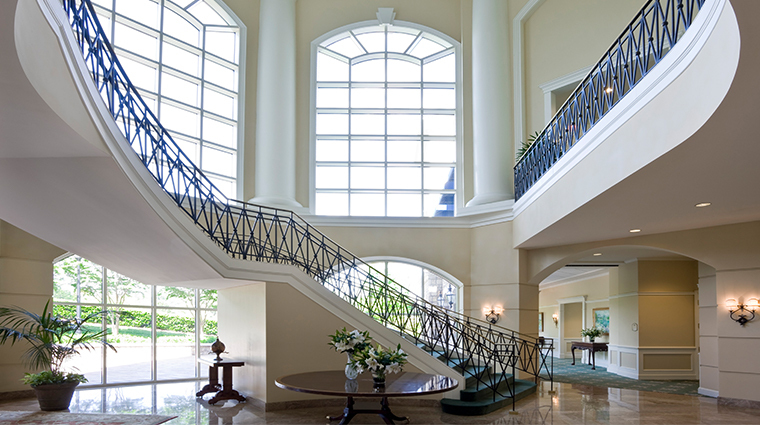 Whether you’re at the hotel for business or pleasure, you’ll want to linger in the airy lobby. A long table with outlets appeals to digital nomads, while intimate seating and an adjacent bar beckons vacationers. 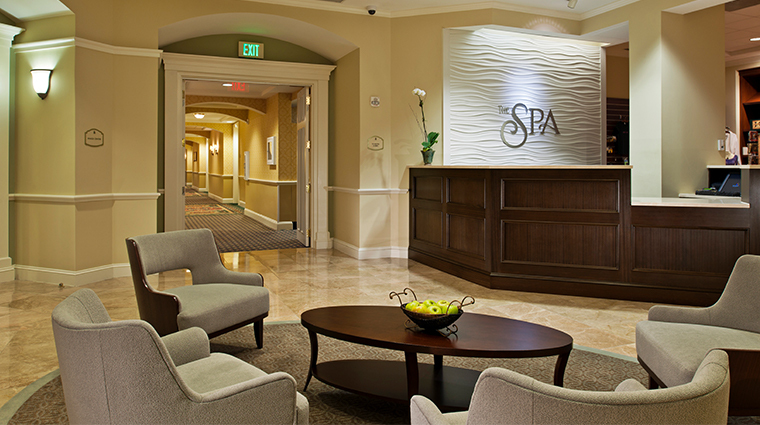 Visit The Spa at Ballantyne for services using local, fragrant Carolinas lavender or the Natura Bissé facials, which will leave you with luminous skin. 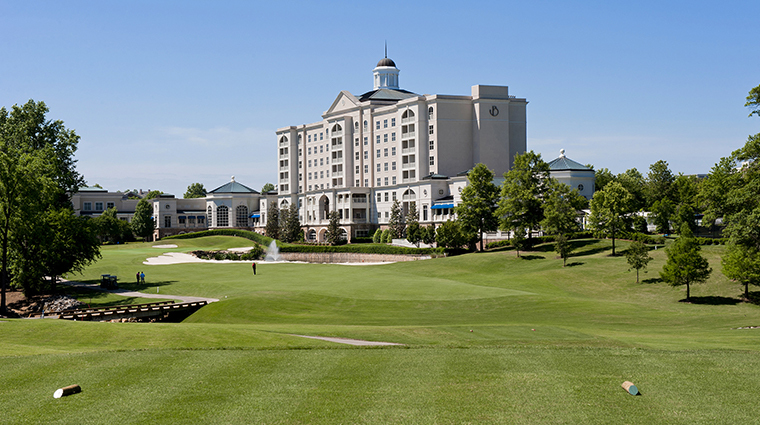 A complimentary hotel shuttle will drive you within a one-mile radius of the property, including its lodge. In the morning, a gratis coffee and tea station is set up on the lobby to help fuel your day. Then in the afternoon and evening, the station offers water infused with fruits like oranges and strawberries. 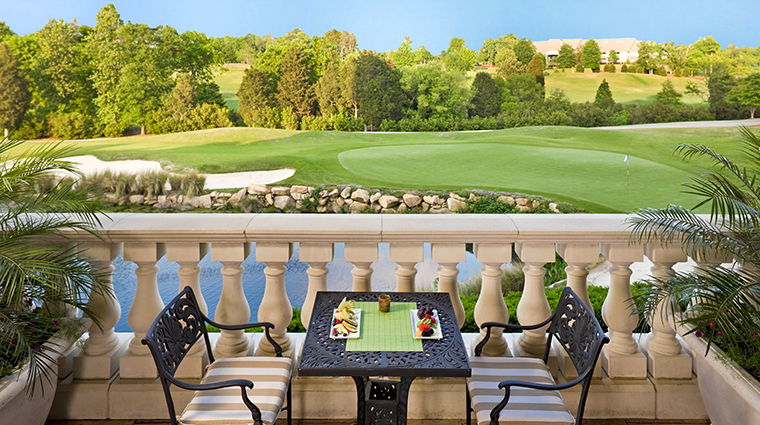 Ask for a room with a balcony to overlook the golf greens and the small lake with a fountain. Valet parking is free for hotel guests. If you're here during December, see the impressive Gingerbread Lane display. The edible creations compete in three different categories. 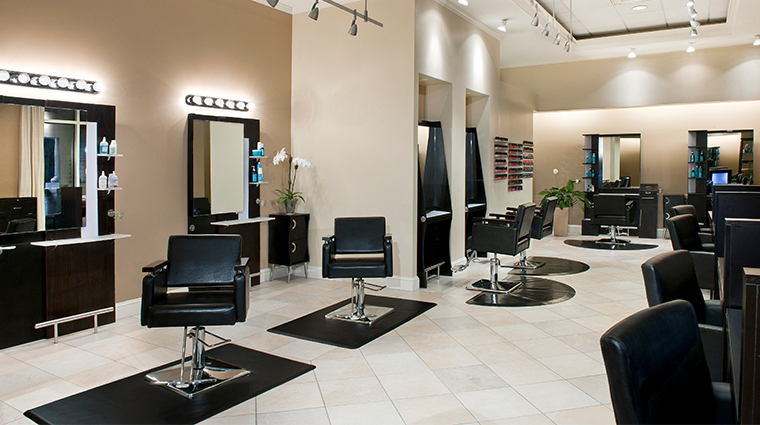 Pay a nominal fee to vote for your favorite, and the proceeds go to charity. 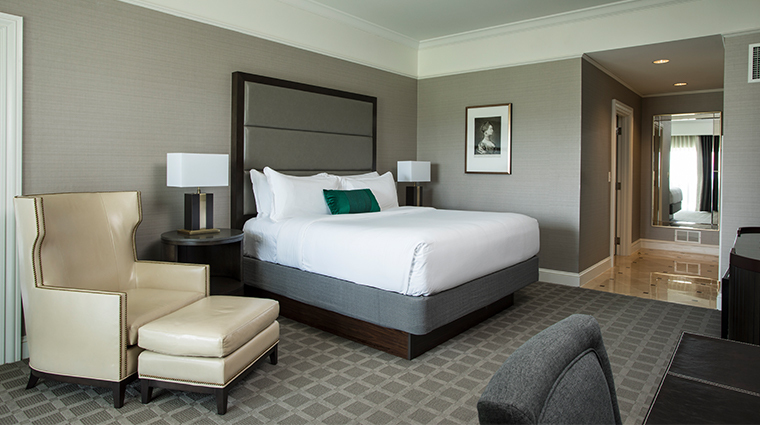 The 208 accommodations feel fresh with textured wallpaper, subtle square-patterned carpet, heavy curtains and tufted headboards all in shades of gray, as well as white crown molding. Rooms also come with Bose Wave radios and 55-inch televisions. 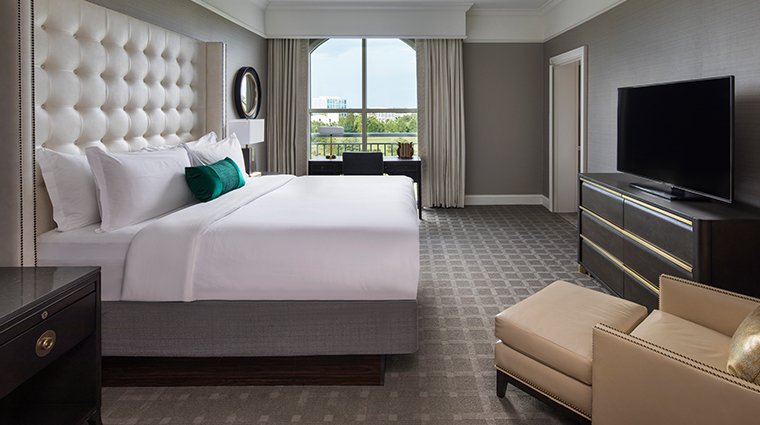 Two presidential suites have white marble bathrooms, stylish living areas with pops of emerald, a kitchen with a refrigerator and dishwasher, and spacious balconies. 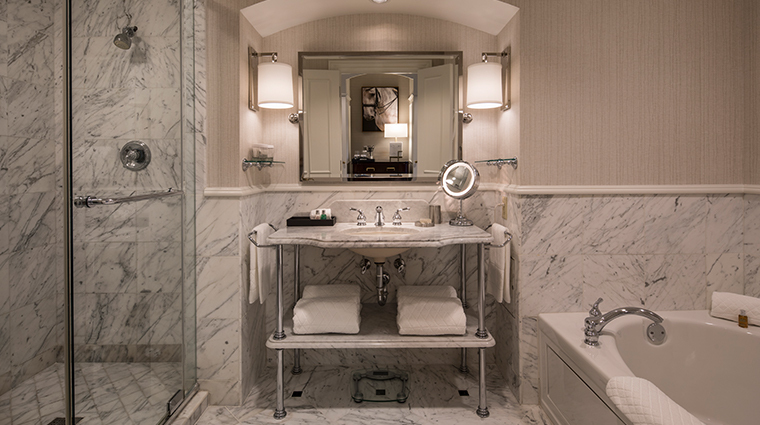 Most of the marble bathrooms come with an oversized oval tub, a separate shower stall, sweet-smelling Molton Brown toiletries and thick Frette terrycloth robes. 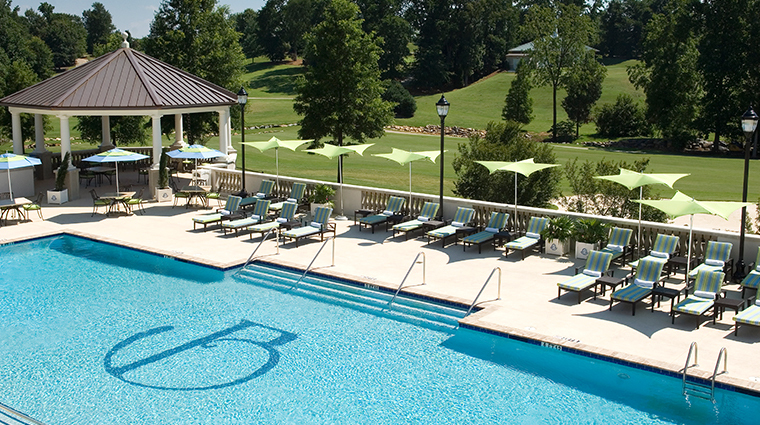 For a more intimate gathering, opt for the Cottage at Ballantyne. The standalone residence comes with four bedrooms — each with its own bathroom— a kitchen, a living room with a fireplace and a stone patio that fronts the golf course. 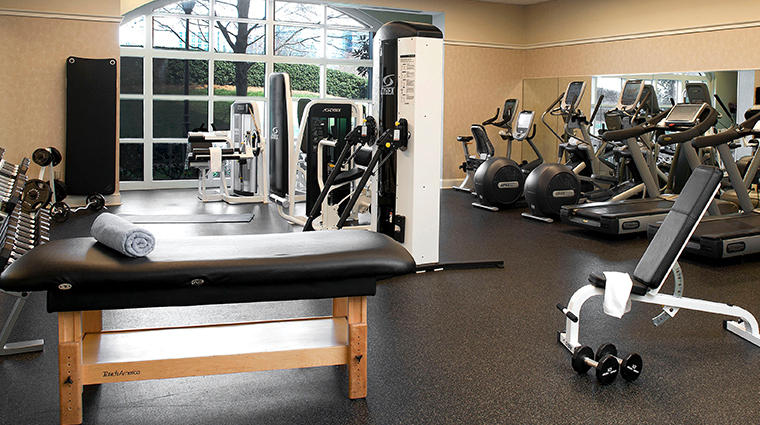 About a 10-minute walk from the Ballantyne, a craftsman-style Lodge is used for meetings and special occasions. It also holds 35 guest rooms. At Gallery Restaurant, Southern dishes get elevated. Take the chicken and dumplings, where a piece of bird sits atop pillowy gnocchi, English peas and local carrots. To add a flourish, the waiter pours supreme sauce over the dish tableside. For breakfast at Gallery Restaurant, order up farm eggs and thick sausage patties that are prepared in house. Or try the hearty Anson Mills grits, with andouille sausage, charred corn and jumbo shrimp floating on the surface. Gallery Bar offers a long wine list, cocktails and more. Scotch experts and novices alike will love the “Scotch Flights,” a step-by-step introduction to the multitude of Scotches offered at the bar. For more Scotch, head just off the lobby to The Ryal. The brand-new bar carries a hefty selection of the spirit (the offerings are a nod to the Scottish heritage of the original hotel owners).